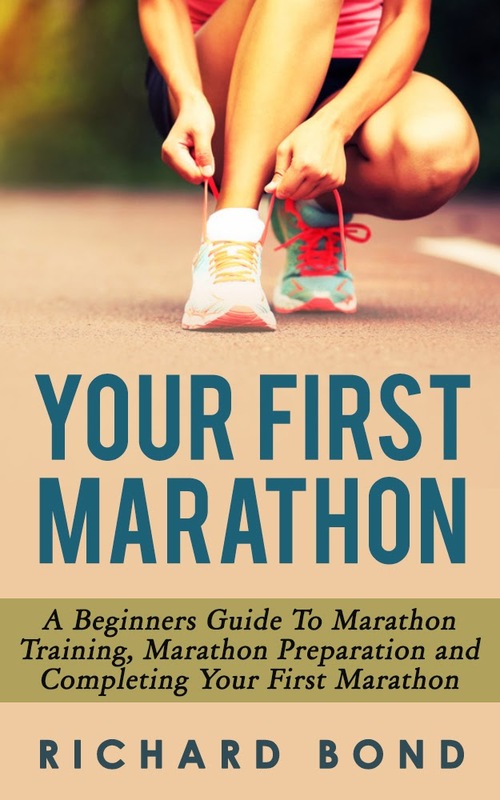 Tomorrow, Sunday 29th March 2015, my best selling e-book ‘Your First Marathon’ will be available for free on Amazon for anyone to download – Here’s a link to Amazon on the UK and US. If the links don’t work, you can search for it under the book title or author. Why am I offering my best selling book for free? Kindle Direct Publishing offers the chance for every book to go on sale for 5 days a quarter completely free of charge. But, I’m not making any money so why would I do that? The more sales the book makes or in this case, the more downloads, the better chance my book has of ranking higher in the search list on Amazon when people are looking for books on ‘Marathon Running’. People may or may not be interested in the book for $2.99 but when you’re giving away a book free, the sales go through the roof, and as a result you book gets more exposure and hopefully has more potential to earn more money moving forward. There’s a good chance that a lot of you have no intention whatsoever to run a marathon or at least learn how to. So, what would you do with this book?! I’ve had a lot of requests and questions on what my books are about, how long are they, what they look like etc. What better way to help answer some of those questions by providing you with my best seller. This book cost me £82.95 to create. In my Monthly Goal Update, I shared with you my February earnings for it at £23.20 (28% ROI in one month). How do you earn that ROI? You can check it out for yourself first hand. You can see that you don’t have to be a best selling author or a talented writer to release a book on Amazon and make a fantastic ROI. I’m hoping to dispel some myths about publishing a book on kindle, and show that for under £100 you can create a quality book that provides value to others. If you do decide to download a copy and find anything interesting or of value, could I ask you to leave a positive review on Amazon? The more positive reviews I receive, the better my book gets ranked. You will also receive free air hugs and high fives for life! Is FFBF going to turn into a Book store? There’s only one way to close this post……. Nice one Huw, I will download it tomorrow and have a read. And I would be interested in the book updates! I maybe potentially interested in having a go at writing after my exams are done in October. Strangely enough I just ran a personal best 11 1/2 miles this past Sunday. I could have probably ran the last 1 1/12 miles to finish a half-marathon, but I was feel some pretty significant foot pain so I stopped early. I could hardly move for the rest of the day. Luckily I was fine in a couple of days and back running again. I hope to finish a half-marathon or two before the end of this year. I will certainly check out your book. No problem Mr Z. I appreciate you downloading it. It all helps! Thanks for giving feedback on future free books, I appreciate that. I'll wait to see what the general consensus is before making the call. I don't want this Blog to turn into a book store, but if people would benefit or value them I'll pop it in a post. I would highly recommend the publishing process I've been in. I don't write my own books, but I find myself adjusting them when the writer emails me their work. I'm interested in writing my own book too now I understand the whole publishing process, and I'm still learning how to market my books more effectively. Good luck in your exams this year, and if you have any questions on the publishing front, feel free to get in touch. Congratulations! It's amazing how the miles can quickly stack up over the weeks and months of training. It sounds like you made the right call with your foot too. If you were in an event and it was your one opportunity to do it, then I understand pushing your body past the healthy levels, but it isn't worth it in training. You live to fight or run another day. Good luck with the rest of your training this year and on accomplishing many more running Personal Bests! I appreciate you checking the book out too! Are you intending to release any personal finance books? That's something I'd be interested in. Hi Huw, I'm really interested in your Kindle business so am glad you shared the link. I've downloaded it despite not wanting to do a marathon, but I am interested to see what the quality of the book is like etc. I hadn't realised you weren't writing them yourself – it would be interesting to learn more about your business model in the future. Good luck getting your rankings up! Oh, pressed Publish by accident! I meant to add it's #1 in Kindle Store for free books on Running & Jogging! "Amazon Bestsellers Rank: #1,303 Free in Kindle Store"
Hi, I downloaded your book yesterday, as requested. Well done. I'd love to hear more about this – subject seclection, what you outsource for what budget, and, of course how you market initially and on an ongoing basis. Hey Huw, definitely interested in hearing about the other books you will be doing. Just a quick question, is the name Richard Bond just a pen name, or is the name of the person who you outsourced too? If the former, why did you pick that name? I'm no marathon runner and it's not something I aspire to but I've downloaded it to help with your rankings and as it's a short book, I'll probably have a quick read of it. How and why 'Richard Bond'? Although in my mind, you spinning in that leather chair with the cat springs to mind haha! Eventually yes. I'm currently releasing books on all subjects, including some I know very little about. I'd eventually like to write my own books and PF/ER would be topics I'd like to cover. Currently I'm more concerned with publishing books as a source of income. Once I'm closing in on FI I'd like to start doing my own writing. I'll keep you posted if I do release any PF books! It's nice to know I'd have at least one customer too! I'm pleased you got some value from it, even if it's from the income generating side of it. I thought that might interest some people. Yes I pay people to write for me, then I proof read and edit the work afterwards. That can sometimes be very little, and sometimes it can be a lot! The business model is fairly simple to explain from a top level view – I check Amazon for gaps in the market, I pay someone to write a book for me on that topic, I pay someone else to design the cover, I then put it together and release it on Amazon. There's more to it than that, but this explains the bare bones. Thank you for downloading it. I really appreciate it! Perhaps one day you'll consider running a marathon! I'm glad you'll get some value from it either way! Ha ha. I can see that M has asked the same question below. My middle name is Richard, and at the time, I think I was watching a James Bond film. What I'm saying in a roundabout way is that I am Bond, Richard Bond. License to make 'manypennies'. Great News M. Thank you for letting me know. There seems to be positive comments about me posting free books, so I'll continue to do so for those that value it. You gotta love free anyway, right! Richard Bond is a pen name and it made me laugh that both you and Weenie asked the same question – Why?! My middle name is Richard (fair cop) Bond, I think I was influenced by watching a bond film and I thought you only live twice, why not?! But that's for your eyes only, ok. Thanks Chris! I really appreciate that! I've been taught how to find niches that are rare enough, where there isn't too much competition, but common enough that people buy it. For example – Running in general is very popular, so I've honed in and selected marathon running for beginners. I outsource all of the writing to others, and charge around $10 per 1,000 words. This can fluctuate. I market on Amazon itself, facebook, twitter, and other websites. I have 11 books out as of today, 9 of which have been selling most of the month, and it looks like I'll make around £80 in March, which is only my second full month of doing this. I hope this quick overview helps to answer your questions. Thank you for the update. I wasn't aware of that. I used to track my best sellers, but they change so quickly I stopped in the end. I had a top seller yesterday in a paid category. I told Lou and went to check and I was down to number 2 in a number of hours. Things can change very rapidly. Thanks again for your support. I noticed you sent a re-tweet out as well. Much appreciated! thanks for explaining. by the way, i just went to download your book, and it's no. 1 again in 'running and jogging'. P.S. I also promoted it on my personal facebook wall, so hopefully you might get a few leads off that too. Thank you for taking it onto your Facebook page. I really appreciate your help! Book downloaded. I'll have a look and leave a review. Let us know as and when your books come up again like this. I look forward to the post about the whole process. I think LM needs to consider publishing something. Thank you very much for downloading it! I appreciate the support! I'll happily post any other free book promotions on here. It seems like there are only positive comments about posting about them so far. The publishing is a fairly straight forward process once you've done it once. I would class myself as an average writer at best, but I pass all of that work onto people that really enjoy it. I just tidy it up and publish it. If you enjoy writing I imagine it would be even better. The publishing business is heading in the right direction, but I still have a long way to go. I want to get more months behind me and build my monthly income before I start writing about it in more detail. I'm happy to continue sharing my results for the time being. It's quite a big topic, and although it's fairly easy to do, there's a lot of ground to cover. Thanks again for the support and interest! I'd recommend it to LM anyways! I have been a while in getting round to downloading your book as it meant creating an account with Amazon. In the end I relented and went for it. I haven’t read every word but it looks impressive. I had always thought that to write a book you had to research your topic and know it inside out. From what I have read above, you have dispelled of that myth and gone after what is in demand in a niche area and got someone else to do the writing (do you come up with the base idea and the layout or do you just tell someone to write a book about “Your First Marathon”?). The idea of doing that would never have entered my head so I take my hat off to you and congratulate you on what looks like a great business model. Good luck with your sales and I would be interested to see more on this subject. Thank you so much for making all of that effort. I wouldn't have expected you to do any of that, but I feel very grateful that you have. I'm also pleased to hear that you like the book itself too. You certainly don't need to know the topics inside out in my experience. It just so happens that this was the second book I published and I did happen to know a lot about it anyway, I recommend to new starters that they publish books they have some knowledge and confidence in when they're doing their first book so they can gain some confidence in the process. Once you know how to publish a book, you can then start publishing about anything! You can ask someone to write 10,000 words on 'your first marathon' and leave it to them, or if you're anything like me, you'll give them a whole page worth of structure, content, writing style you want them to cover etc. I think I do more than most on that though. Thanks for the kind words. I can't take the credit for the business model, as I did an online course to understand it. I've started to do things my own way already, and so far it seems to be working well, but like I've mentioned above – There's a long way to go yet. I considered doing the course in Jan 2014, and I didn't do it in the end due to the cost of it. I missed a trick there, and I could have been a year closer to FI had I gone for it. The important thing is that I went for it now, and it feels good to be making progress with it. Thanks again for supporting me!